A Post medieval silver half groat Charles I (1625-49). London Privy mark: star. 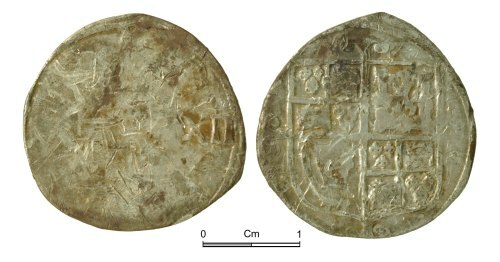 Minted c. AD 1640-1641. 0.90g. North number 2258.